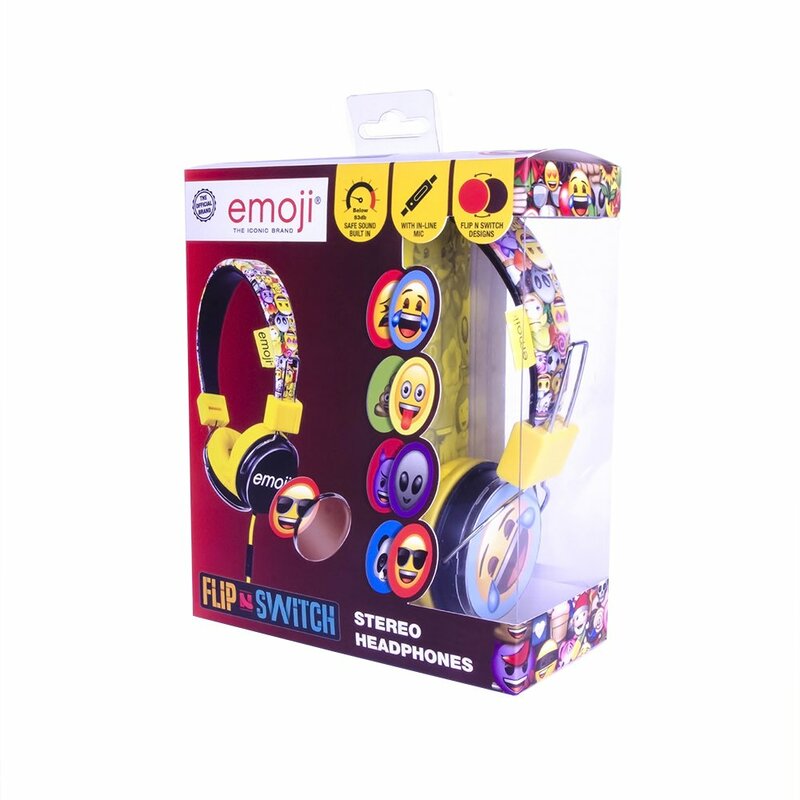 These adjustable Emoji headphones offer a unique Flip N Switch design, with thousands of ways to customise the way they look. Designed with kids in mind, these headphones have sound limiting technology built in to protect little ears. 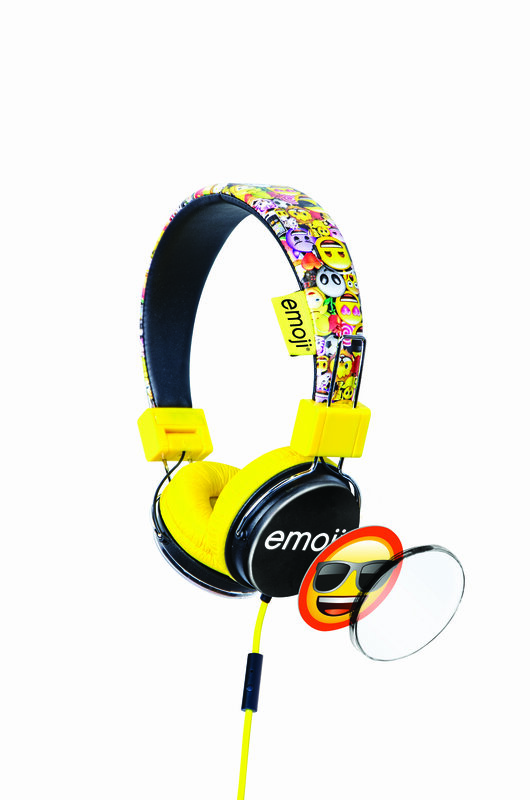 Visit www.flipnswitch.com to download hundreds of inserts that can be printed and cut out to fit these awesome headphones! Available in 2 designs. 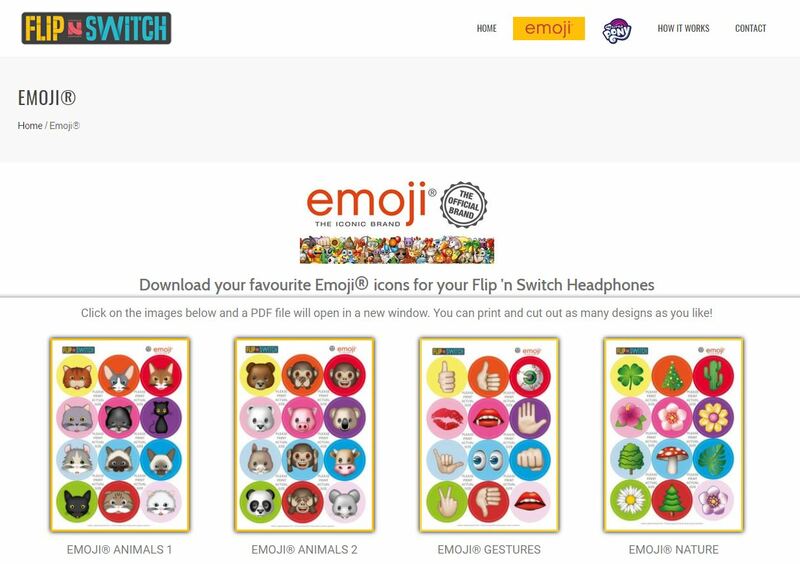 These can be easily connected to smartphones, tablets or MP3 players. Whether it’s a tablet, iPhone or iPad all you have to do is simply connect to your device using the standard 3.5 mm jack.